On November 12, 2018 UCR Transportation and Parking Services (TAPS) began the sale of commuter parking permits, and after just a few days the most popular permits such as Gold+13 and Gold+21 already sold out. In a Highlander interview via email with Assistant Vice Chancellor of Auxiliary Affairs and TAPS’ committee chair Andy Plumley, it was revealed that new transportation solutions are currently underway and that permit prices are in review due to increasing undergraduate admission numbers. 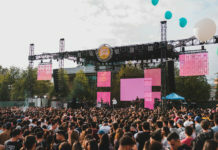 This fall quarter, UCR admitted 33,218 students, a seven percent increase from last year with roughly 25 percent being transfer students. With more prospective students than ever, many have taken to social media networks such as Twitter to convey their frustration with parking. One of the most recent mentions to TAPS’ account states, “I pay y’all more than $100 a quarter @UCRTAPS and it takes me more than 30 mins to find parking in a lot that’s almost a 30 min walk from my class.” Plumley asserts that TAPS addresses student concerns by “tracking the patterns.” By studying “all of those working parts in terms of history and where those trends have been,” Plumley says, TAPS is able to provide as much parking as they can despite limited space. The committee chair also discussed other changes coming to UCR already in development: “The big parking project we currently have is a parking structure. Even though parking didn’t report to me prior to 2016, I built the first parking structure at Glen Mor … across the street in Lot 13, the back half of that parking lot, we’re planning a minimum 1200-space parking garage.” The massive addition to parking comes as the primary focus for Plumley as new projects and housing will bring even more students and their vehicles to the campus. 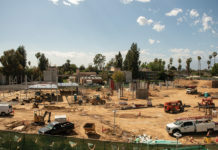 One request made by TAPS to the construction teams at UCR is that when the new Dundee-Glasgow halls are being built, the parking lots are the first things that will be opened. Students experiencing issues bringing a car on campus may want to look into the many other solutions made available to them, Plumley asserts; “If you’re no further than a mile, walk, bike, do something, don’t bring your car … we have a parking app so before you even come to campus you can see if, say, lot six was full.” He also notes the aforementioned RTA system will only become more accessible with time, given the construction of the Mobility Hub. Plumley went on to state, “Are parking issues real? Yes. 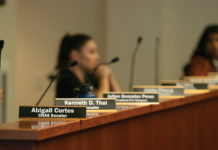 I’m not saying they aren’t,” and he assured students that he and the TAPS team are “doing what we can to mitigate those.” As the year progresses the positive effects of the numerous projects initiated by TAPS and other departments should become more visible.